When An Entrepreneur And An Actress Hired A Moroccan-Inspired Designer To Create Their Oceanfront Residence, Fantasy Spread From Room To Room. 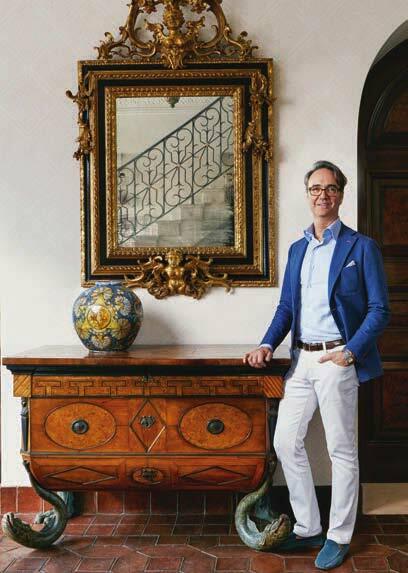 ABOVE: In the entry, New York-based designer Frank de Biasi showcases an antique Italian commode. Photography by Robert and Carmel Brantley, Delray Beach, FL. 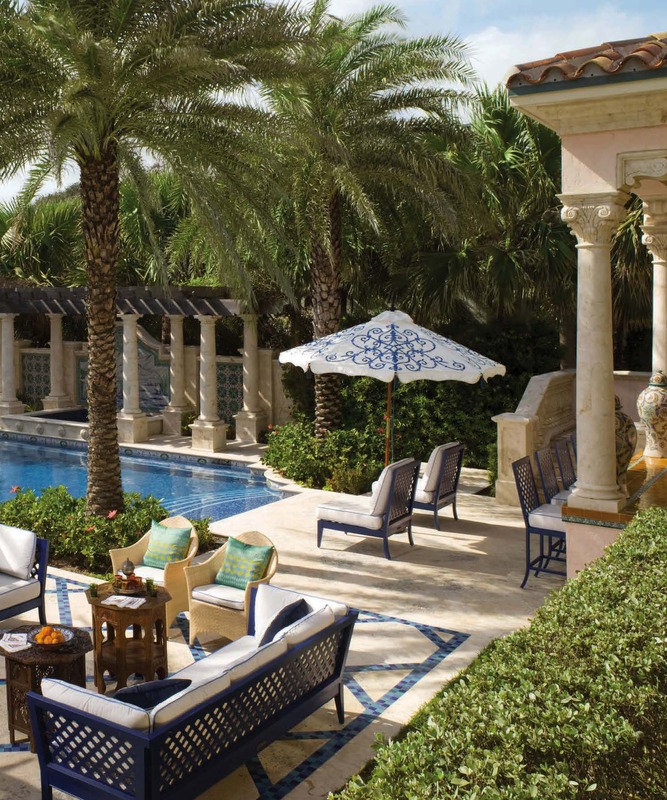 WHEN A NEW YORK-BASED DESIGNER, Frank de Biasi, was hired to create a brand new seaside home in Palm Beach, Fla., that looked like it had always been there, he studied the history of the island&apos;s architecture. Homeowners Bob and Mia Matthews, who met de Biasi in Palm Beach, asked him to design a warm and inviting, Mizner-inspired family home. "Mia, Bob and I were inspired to design an adventurous home using these styles in vibrant colors such as turquoise, green, blue and white with pops of pink." The clients&apos; main directive — the new 15,000-square-foot home is to look like it&apos;s been around since the "Glory Days" of the 1920s. A columned pergola shapes a shaded space for friends and family to enjoy the whirlpool. 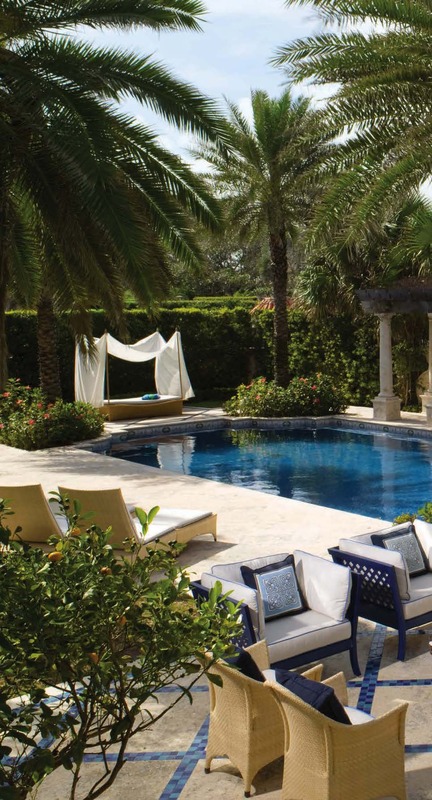 McKinnon & Harris furnishings style intimate outdoor seating areas for conversation, while Dedon&apos;s draped sunbed and chaise lounges offer relaxation poolside.